This report reviews the important role of medicines in health systems, describes recent trends in pharmaceutical expenditure and financing, and summarises the approaches used by OECD countries to determine coverage and pricing. It then highlights current issues for policy makers, such as the increasing prices of new medicines; concerns about the value of spending in some therapeutic areas; challenges in anticipating the arrival of very effective medicines for highly prevalent diseases; sharp price increases in off-patent products; and the apparent misalignment of current incentives for the development of treatments for certain conditions. 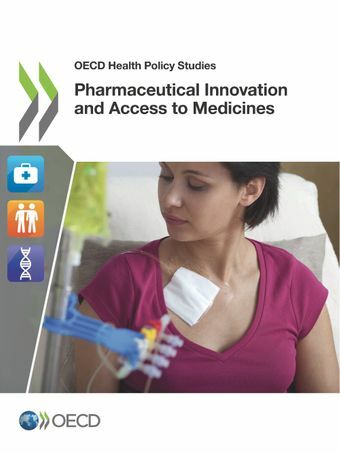 The report also describes the role of the biopharmaceutical industry in OECD economies, examines the process of pharmaceutical R&D and its financing, and looks at the risks, costs and return from R&D investment for the industry. Examining trends in the industry over time, it shows that productivity of R&D expenditure has declined; that the duration of market exclusivity has remained relatively stable; that new medicines are increasingly being developed for small patient populations; and that the industry as a whole has remained highly profitable for investors. Lastly, the report presents a range of policy options for consideration by policy makers, to support the development of effective and co-ordinated responses to the identified challenges.